Pure Kosher Salt. 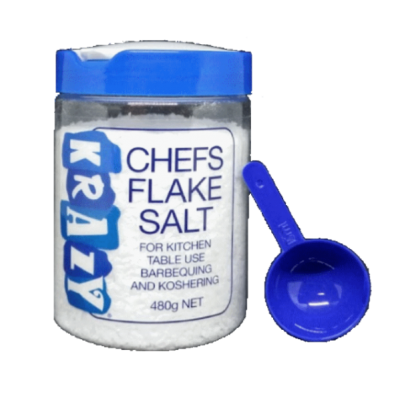 A favorite for the kitchen and the table. 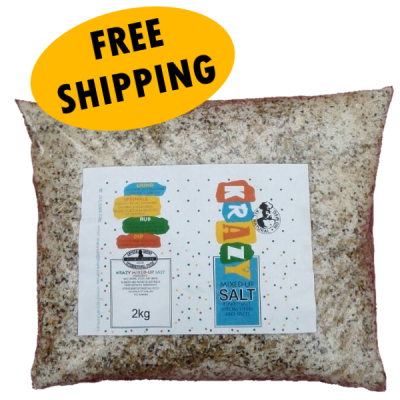 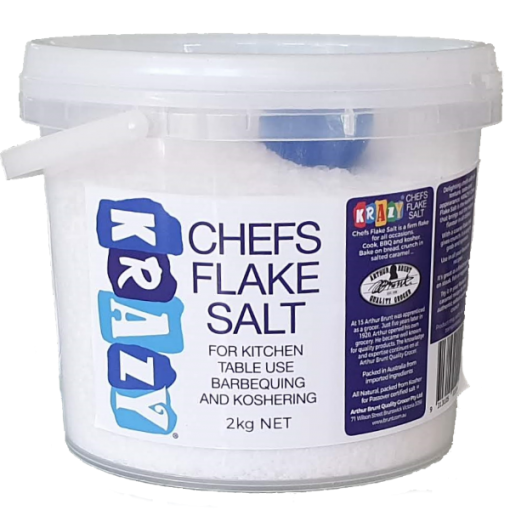 Krazy Chefs Flake Salt has an extra hard flake that gives a crunch to any dish.